Arrayit offers the market's finest class 1, 10, 100 and 1,000 cleanroom disposable face masks to trap particulates and other contaminants generated at clean room staff during cleanroom operation. 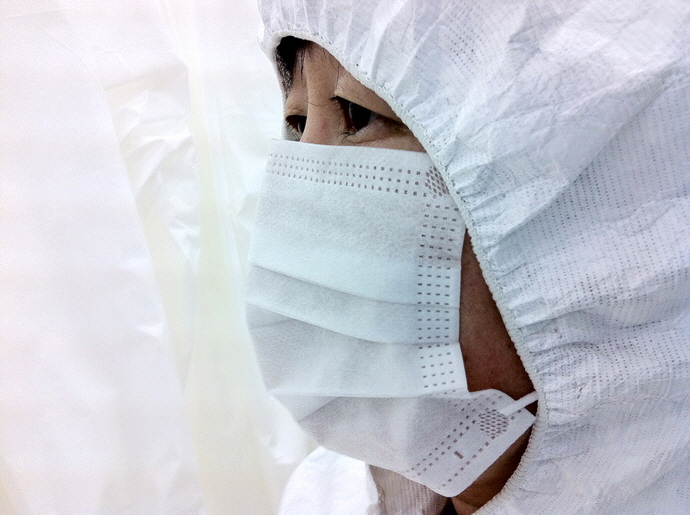 Disposable face masks are highly recommended for cleanroom environments used in the life sciences, diagnostics, healthcare, semi-conductor and other sectors. Masks are white in color with an ear loop and a three-ply pleated design offering 0.05 µm filtration at >99% efficiency. Constructed of soft, non-woven polypropylene with full-length aluminum bridge to form-fit the nose and face. Pack of 100 disposable masks. Due to the exacting nature of these products and the high level of quality control and quality assurance required, all Arrayit cleanroom product sales are final and non-refundable.